Radio Ha Ha with guest comedian Fred Anderson! – Radio for the People, by the People. Radio Ha Ha with guest comedian Fred Anderson! 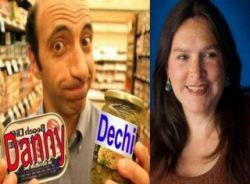 Worldwide Podcast with hosts Danny Dechi & Rebecca Ward. Guest comedian Fred Anderson, plus funny music!